Sure, the Spy Net Rear View Glasses may seem just like a regular pair of sunglasses, but your budding little spy will soon learn that they imbue the wearer with a unique superpower: rear view vision. 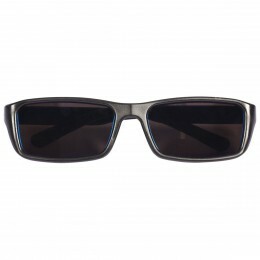 These Jano-esque glasses will allow any aspiring spy to look over his shoulder without turning his head through the concealed mirrors held within the frames. We bought a pair of these great spy glasses last Christmas for our son Adam, who was 8 at the time. Well, he couldn’t have loved them more. Paired with the Spy Net Video Watch we bought him he became a real little spy, and for weeks after Christmas he was never without his cool sunglasses and watch – even sitting in the dark peering behind him. He loved the glasses so much, in fact, that he began watching TV while facing away from the screen. For hours he’d sit there staring at the wall while watching Dr Who behind him! 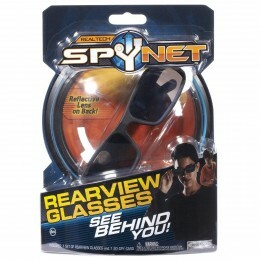 So, if you want to give your little spy eyes behind his head you could do much worse than to grab a pair of Spy Net Rear View Glasses. Right now you can find a pair for just $10 at Amazon! They’re the perfect little stocking filler, so this year we’ll be giving them to all of our little nephews. Before you head off to grab a pair, why not take a look at this cool video featuring the Spy Net range?